Touring Douro Valley in a ’55 convertible Chevrolet! What better way to see Douro Valley! Our youngest son Joe surprised us with a 27th wedding anniversary present, telling us to take a day off from Quinta do Tedo – surely! 11 AM pick up at our winery by charming guide Bruno and driver João, information wikipedias about the region and about cars. (Burgundian husband reminded me that Chevrolet was a Frenchman’s creation of the same name, who emigrated to the US and the rest is history!) Seated in the generous and comfortable back seat of a 62 year-old classic Chevrolet Bel Air, we were offered hats for the sun, an overview of the day and off we went! Being chauffeured in a vintage convertible offers a completely different perspective of Douro Valley - the pace slows down and the comfortable ride is a soft "cruise". We visited places of interest that I had not been to in years, even an olive oil museum outside of Pinhão. 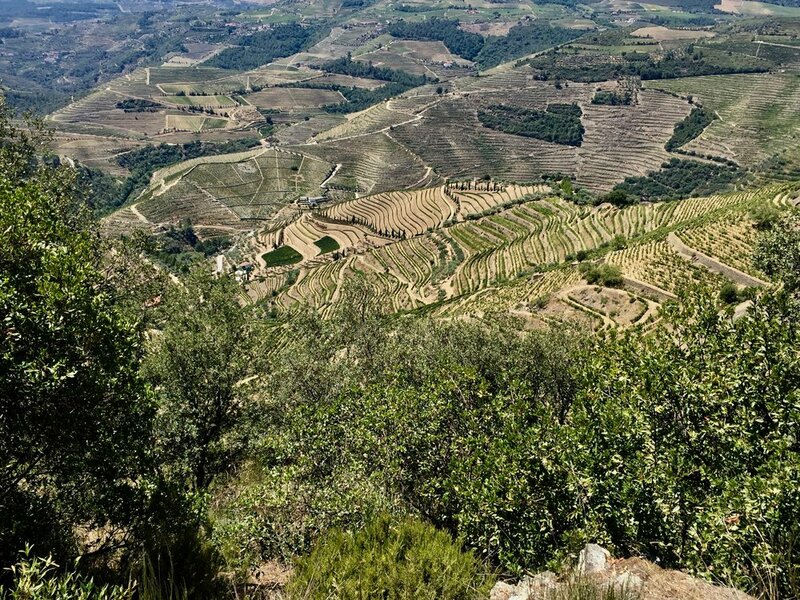 Lunch at a neighboring winery, and then a gentle afternoon guided tour in Douro Valley, passing through different microclimates and elevation changes – the temperature goes up and down as one wraps around a curve or climbs up to another viewpoint. A fresh breeze is felt by the river and the heat further inland is intense. Look upward and the dramatic slopes and tapestry of terraced vineyards are captivating. The smells of wild rock rose, grape vines, dust, the Douro river, pine trees and Mediterranean shrub and the song of cicadas make for such a blissful day. Thank you Douro Vintage and thank you, Joe! Be it for the passionate car lover or for the visitor looking for a truly unique experience, Bruno Simões and João Cardoso’s Douro Vintage Tours offers classic and premium tours from a fleet of cars from this and last century - from the 1928 Fiat 520 Torpedo to sleek modern BMWs https://www.dourovintagetours.pt.